The International Journal of Research and Analysis is delighted to announce a call for papers for its volume 1 Issue 2, which will focus on contemporary issues in the field of law, humanities, journalism, commerce, computer science and other related field of studies. Authors may submit papers directly on the website under ‘Submit Article’ link, where further details regarding the submission procedure is available. •The words limit for article shall be 3000-4000 words, book reviews: 1000-1500 words, short comment: 2000-2500 words. •The submission shall be in MS Word 2003 or 2007 format strictly. •The font shall be in Times New Roman of font size 12, with spacing of 1.5. The footnotes to be in Times New Roman of font size 10. End notes are not to be used. •Citation Mode – A uniform method of citation is accepted. 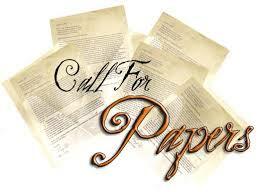 •Each article should be accompanied with an Abstract, explaining the aims and object of the paper. •All articles submitted will be checked for plagiarism. The authors are strictly expected to acknowledge the references made use of. •Co-authorship will be allowed to a maximum of two authors and two separate certificates shall be issued. The author/s are kindly expected to deposit processing and publication fee, once the research paper is accepted for publication. The mode of payment and the amount will be intimated to the author/s via email if the paper is accepted for publication. *** The fee includes a copy of the journal issue in CD form and a Certificate of Publication to the author/s through post/courier. Submission Deadline: 25th October 2013. Intimation of Acceptance: 31st October 2013.